Today, the former Arsenal prized striker Nicklas Bendtner signed a two-year deal to join Nottingham Forest, according to BBC Radio Nottingham and shortly confirmed by Chairman Al Hasawi of Nottingham. Now, the 6’4″ tall offensive player has had a nice career, which is why Nottingham has picked him up as a free agent, but he did not have a great year statistically. He finished last season with three goals in only 21 appearances with Vfl Wolfsburg. Now, he was more involved in international play, where he played in seven matches and started all of them. He scored once, but produced 15 total shots. However, we all do know that the Denmark native knows how to put the ball in the back of the net. He has piled up 87 career goals during his whole time playing at a senior level. His best years where at Arsenal, as he played in 108 games and scoring 28 times. Interestingly, he is one of the most underrated strikers in senior international play. He has been great for his homeland Denmark by scoring 29 times in only 72 games. 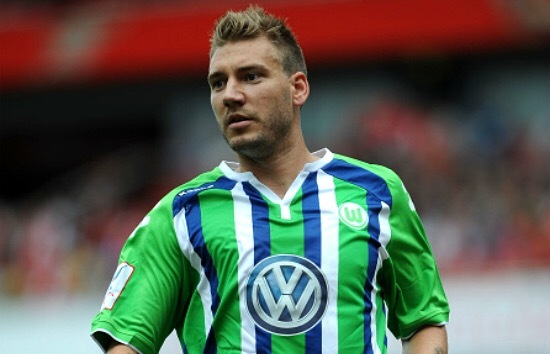 Finally, Bendtner brings a winning background to Nottingham, which they can use. Also, he is very good at close quarters and when it comes to heading the ball in the net. Expect Bendtner to see tons of first team action.